Silver tone rosary rings measure 1 and 7/8" from top to bottom. 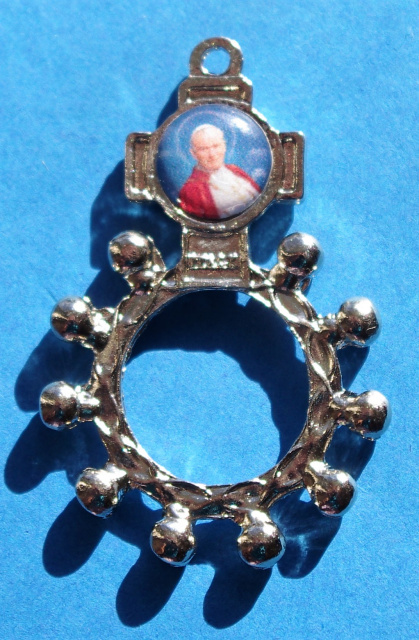 These rosary rings feature Pope John Paul II's image on the front. Celebrate this modern saint whenever you pray Our Lady's rosary. Totus tuus!